Bangalore-based Medinfi Healthcare Pvt. Ltd, a pure-play platform for searching doctors and hospitals through web and mobile app, has raised $200,000 (Rs 1.5 crore) in its fifth round of angel funding. Mudit Saxena, senior vice president at Genpact and Singapore-based angel investor Evan Lim were among those who put in money, the company said in a statement. Existing investors Hemant Kaul, former CEO at Bajaj Allianz General Insurance; and Ram Kumar Kakani, professor at XLRI; also took part in this round. The round takes the total amount the company has raised to $400,000, it said. In February, it had raised an undisclosed amount from three angel investors, including Rajnish Sinha, senior vice president at Genpact. The company plans to use the fresh capital to grow its user base 10 times to 5,00,000 by March 2017 by expanding its services across India and Southeast Asia. 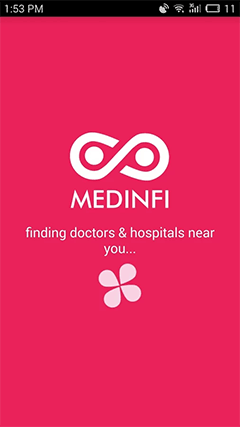 Medinfi, led by founder and CEO Ravi Shankar Mishra, helps users locate the nearest doctors and hospitals for check-ups, but does not have revenue tie-ups with either doctors or hospitals and hence does not book appointments. The company plans to extend its services for the users in 50 Indian cities, up from 12 cities at present, and is also looking to launch its services in Southeast Asian countries including Singapore. It is also planning to launch its iOS app soon. angel round Apps Healthcare Medinfi Medinfi Healthcare Pvt. Ltd.